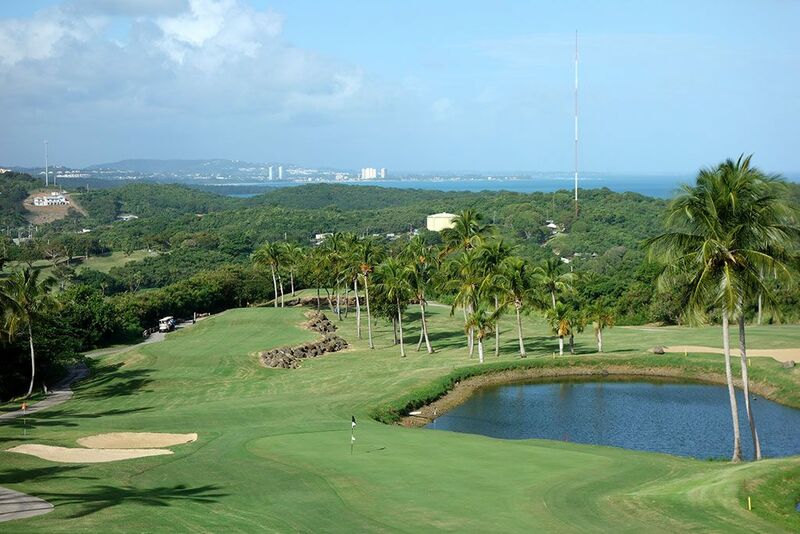 Course Website: Official Website - Visit El Conquistador Resort's official website by clicking on the link provided. 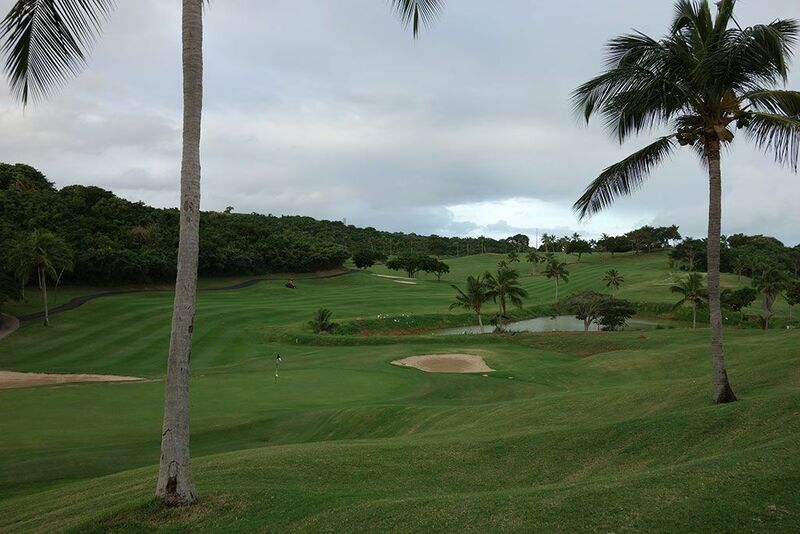 Accolades: Ranked 2nd in Puerto Rico by Golf Course Gurus. 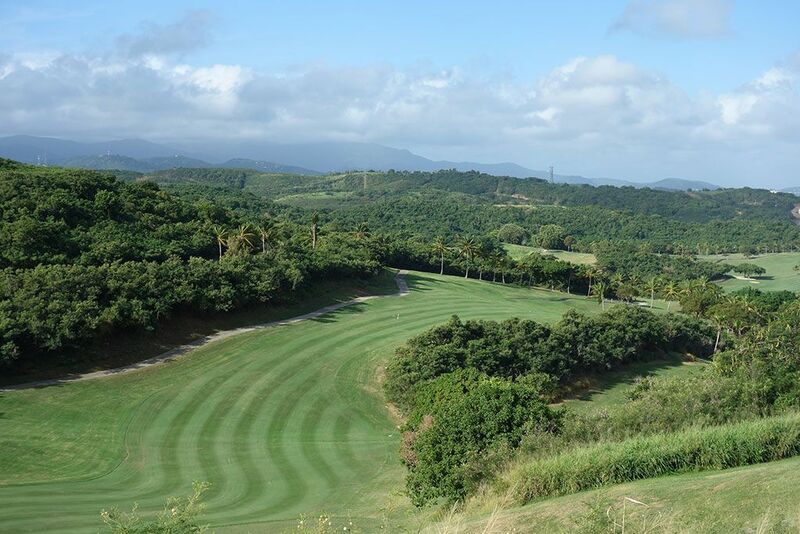 What to Expect: This Arthur Hills designed course is found beyond the gates of the upscale El Conquistador resort located at the northeast corner of Puerto Rico. 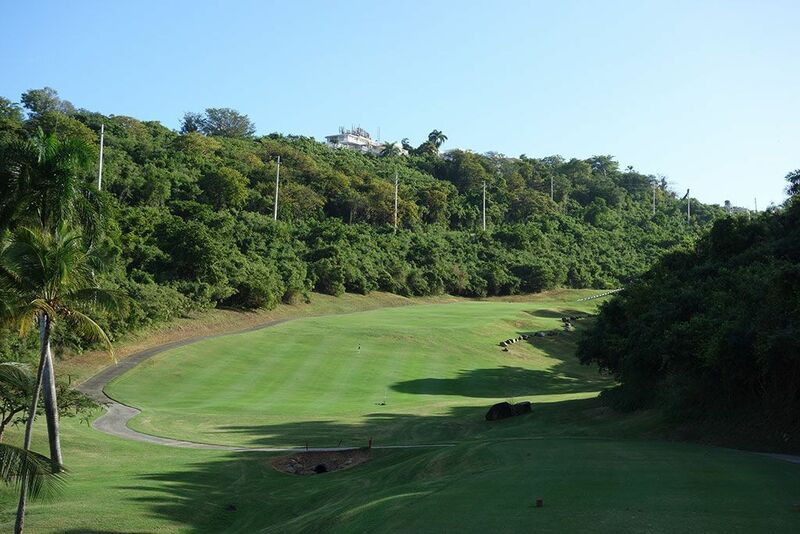 While there are no holes on the ocean, the property features extraordinary changes in elevation (200 feet) and thus affords views of the Caribbean's blue waters from many of the lofty tees and even the driving range. From the back tees the course is plenty challenging, particularly given how tight some of the fairways can play with the extra hangtime your drives experience from the elevated tees. The conditioning of the bermuda grass is solid but not exceptional which is relatively typical of courses in tropical locations. 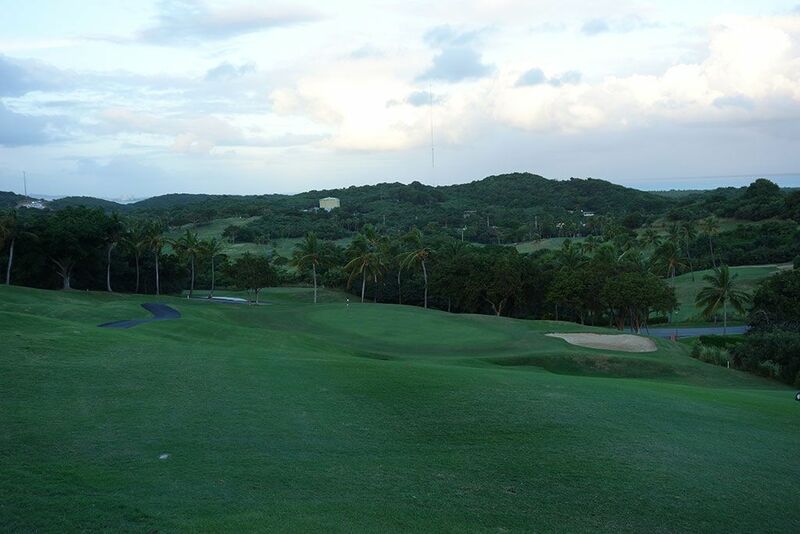 The wind that commonly rolls off the ocean and through Puerto Rico is a bigger factor at El Conquistador given the elevation changes compared to the flatter courses that have more protection from the trees. 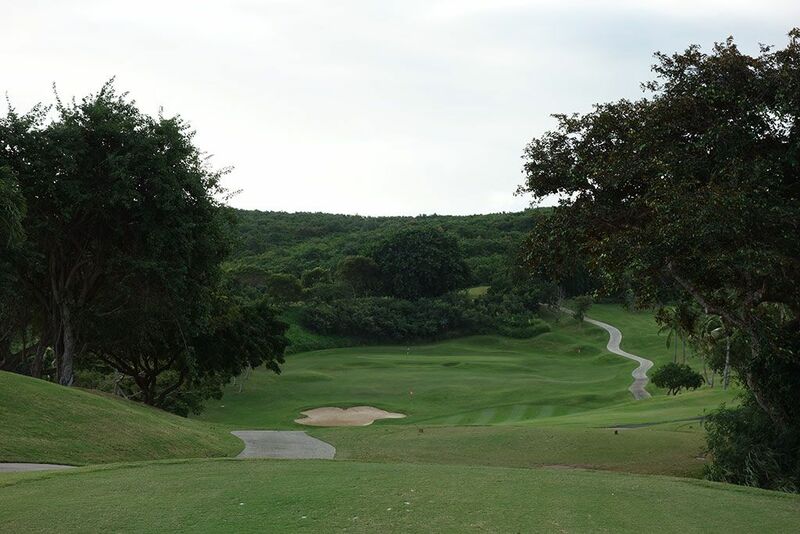 The course would be very difficult to walk considering the up and down nature of the routing coupled with some lengthy transitions from green to tee, however there are several exhilarating shots to be had throughout the round. The design variety and winds can produce opportunities to drive the green on a couple of par fours and reach par fives in two which can result in some great scoring opportunities. Signature Hole: 1st Hole – 395 Yard Par 4 – It may not seem like it just looking at the scorecard, but this scenic par four can be driveable for long ballers. 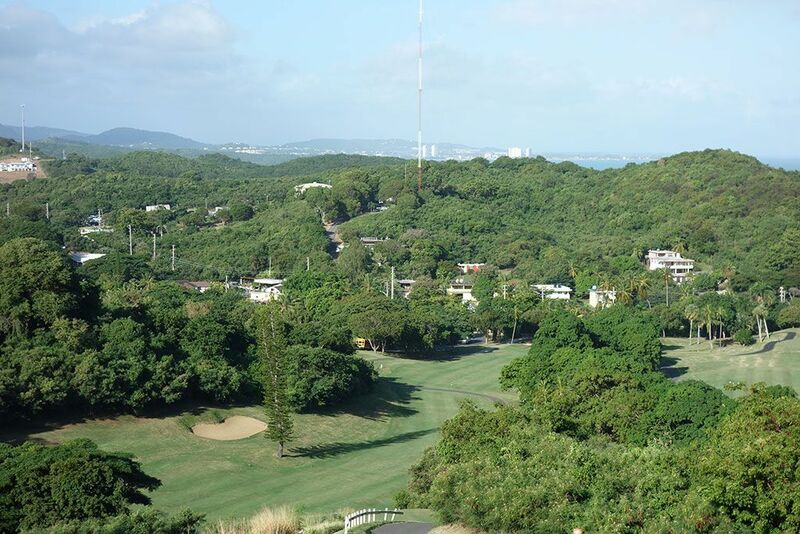 The tee box is located at the highest point on the property and affords expansive views across Puerto Rico's lush eastern side of the island. The hole doglegs right out of view, but bold players with a helping wind can cut the corner and ride the downslope of the fairway and finish on or near the green. 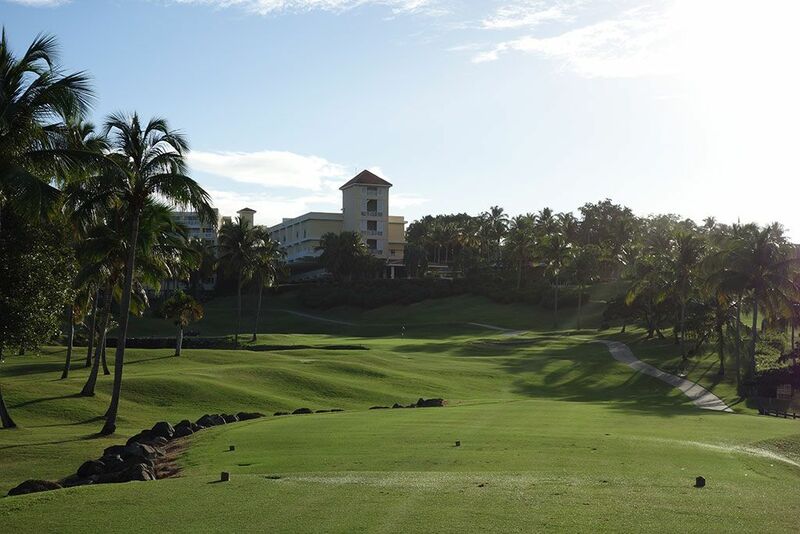 The impressive views and exhilarating tee shot make the opening hole at El Conquistador an exciting way to start your round. Best Par 3: 9th Hole – 188 Yards – I love a slightly uphill par three and Arthur Hill comes through with a solid one here at the 9th. The home hole on the front nine plays to a green that is protected by a pond on the left and a pair of bunkers short right. Err on the side of going long where there is no trouble and a small backstop to keep your ball on or near the green. Best Par 4: 13th Hole – 339 Yards – My favorite hole at El Conquistador was this short par four that is quick to deliver birdies and bogies. The two-tiered driving zone features a high fairway that feeds into the green and a low area that cuts off some distance to the green but also leaves a shaggy lie with a steep approach to the putting surface. 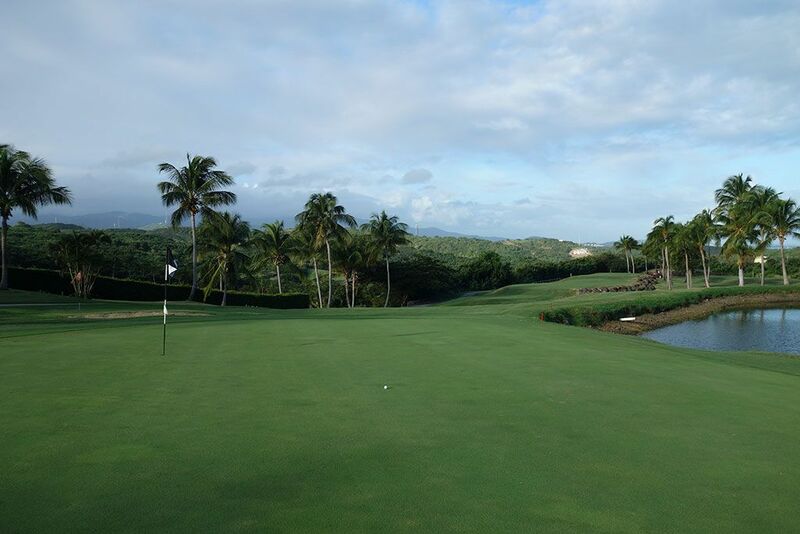 The green is blind from the tee but a 280 yards poke over the trees blocking your view can result in a nifty little eagle putt and propel your momentum the rest of the round. Best Par 5: 15th Hole – 540 Yards – The serpentine 15th boasts one of the most exhilarating tee shots of the day as ball plummet 150 feet from tee to green while trying to successfully navigate between the trees that line the fairway. When the fairway is running firm it isn't out of the question to bomb a 400 yard tee shot so revel in the chance to hit one of the longest drives you'll ever get to at sea level. The green is protected by a trio of bunkers so even if you hit a big drive you'll need to use some precision when attacking the putting surface. This is just a flat out fun hole and great scoring opportunity late in the round. Birdie Time: 7th Hole – 316 Yard Par 4 – If you need to recover from a rough start, the 7th is the perfect way to turn things around. This short downhill par four is reachable and features a small backstop in case you put a bit of extra juice on it. The large bunker you see off the tee won't be in play with a decent drive so even if you don't reach the green you should still be left with a good lie and a wedge in your hand. 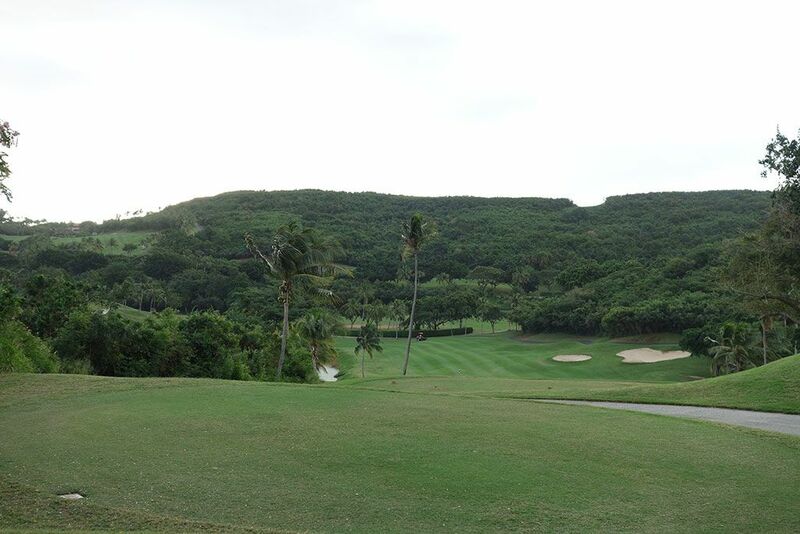 With almost no trouble, a downhill tee shot, and inviting green, this hole is a birdie begging to happen. Bogey Beware: 5th Hole – 431 Yard Par 4 – The downhill 5th has trouble abounding with a pair of bunkers in the driving zone on the right and a pond on the left. The fairway continues forward before bending left around the pond so that the water comes into play on the approach shot. Two more bunkers front the shallow green which creates a demanding target to hit especially if you laid back with your driver at all.